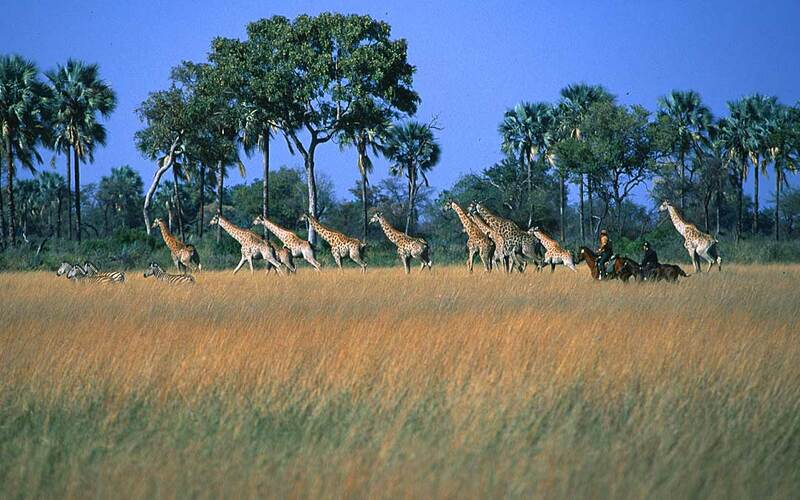 A riding safari is a wonderful way to explore the country. There are two exceptional places to do this in Botswana; the moon landscape of the Makgadikgadi Pans where you can gallop with zebra and wildebeest, and in complete contrast, the stunningly beautiful Okavango Delta, laced with waterways and floodplains. Perhaps you are interested in a riding safari, but your partner isn’t, or vice versa – well fear not, in most cases the safari company can cater to the interests of both parties, there are game drives and walks to keep the non-riders happy leaving the riders free to explore on horseback. Having a variety of activities on offer also means the riders can take a break from the saddle and have a varied safari experience. Depending on the camp you choose, you may have the options of game drives, night drives, mokoro excursions, walking, fishing. It may also be possible to organise a scenic flight in a helicopter to get a bird’s eye view – so you see, a riding safari is so much more than horses. 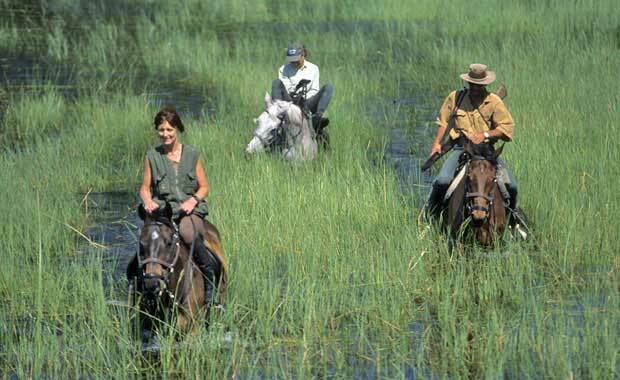 There are several excellent companies offering horseback safaris in Botswana, each a little different to the other, so if a riding safari is something you have considered but were unsure, we don’t think there is anywhere else better to start than Botswana.